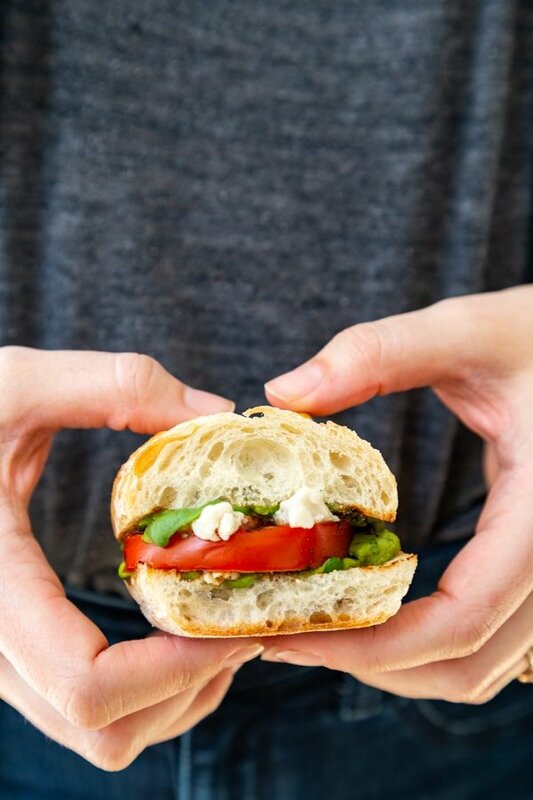 Mini Caprese Pesto Sandwiches are made with our easy to make oil-free avocado pesto sauce, vegan mozzarella, grilled tomato slices, fresh basil, and topped with crispy fried shallots. They’re perfect for a party or a quick and easy meal. 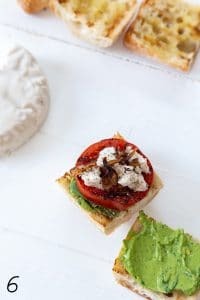 These little pesto, tomato, and mozzarella sandwiches are so incredibly easy to make and so dang good. They’re essentially a jacked up caprese salad on grilled bread. What’s not to love? 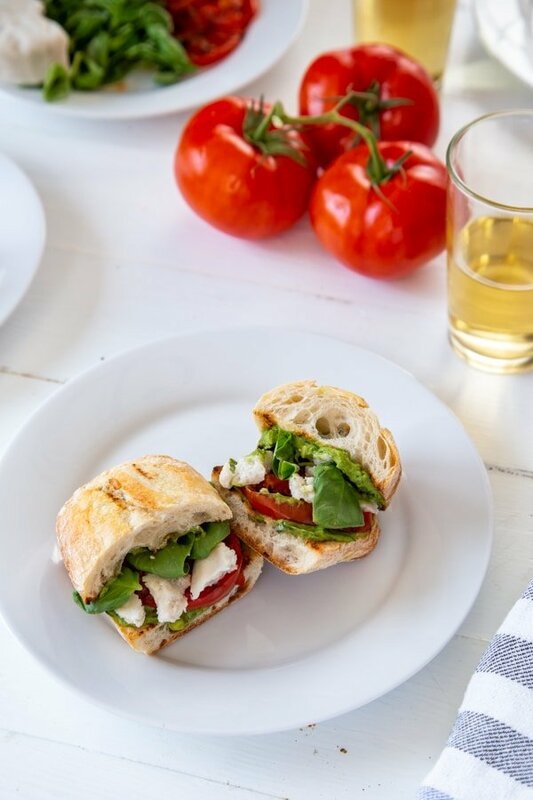 If you love caprese salad as much as we do, then you’re going to go crazy over this incredible Italian style sandwich. 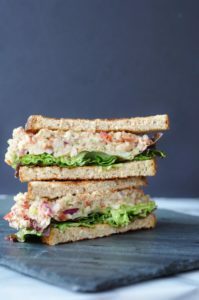 We used our popular oil-free avocado pesto sauce and went a few steps further than we needed to to enhance the flavors and make this the best vegan sandwich ever. WHAT IS A CAPRESE SALAD? It’s the ultimate Italian comfort food. It’s a simple salad made with sliced tomato, mozzarella, basil, olive oil, and salt. The tomato, mozzarella, and basil is usually layered and the olive oil is drizzled on top with a light sprinkle of salt. 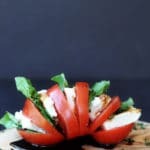 Click HERE for our Single Serving Caprese Salad recipe. As much as we love a good salad, sometimes you want something that’s a little more substantial and filling. This sandwich is all that and more. It has all of the elements of a caprese salad: tomatoes, basil, and mozzarella, yet it gets a boost with our homemade vegan pesto. 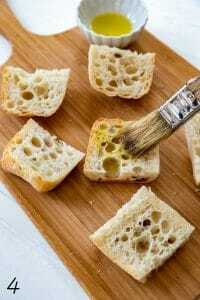 The bread is brushed with olive oil and grilled until it’s nice and crispy on the outside and chewy on the inside. 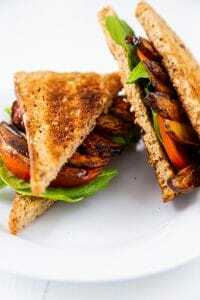 We also grilled the tomatoes to help them release their sugars and develop a wonderful smoky flavor. 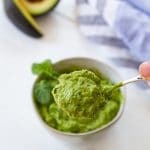 Instead of using balsamic (although you certainly can add that, too) to the recipe, we spread a hefty layer of our oil-free avocado pesto sauce. 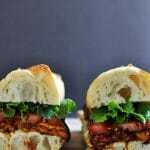 Fried shallots give the sandwich a great flavor and texture. 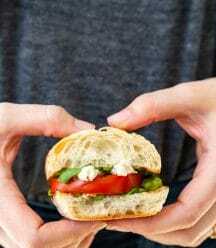 Fresh basil leaves and creamy vegan mozzarella finish the sandwich. HOW DO I MAKE MINI CAPRESE PESTO SANDWICHES? 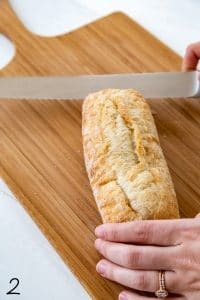 Gather your ingredients and slice the bread into 3 to four inch pieces and brush both sides with a thin layer of olive oil. 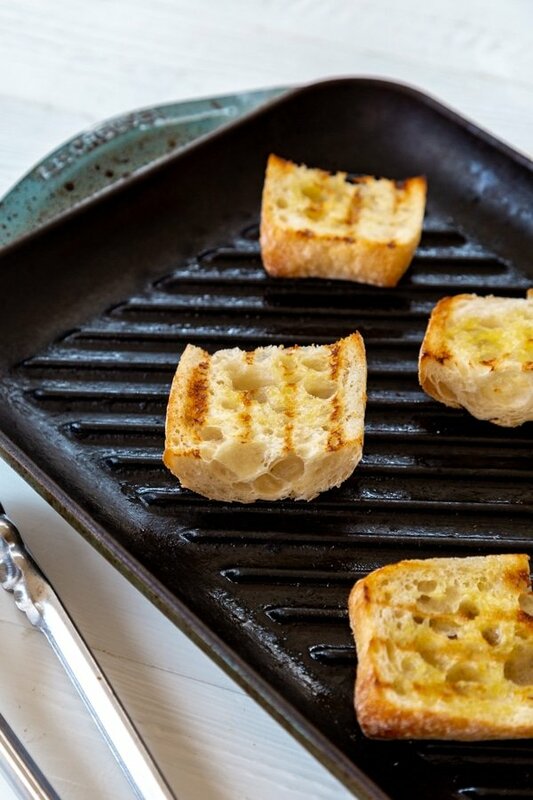 Grill the bread for approximately 3 minutes per side, or until toasted a light golden brown on the edges and you can see the grill marks. 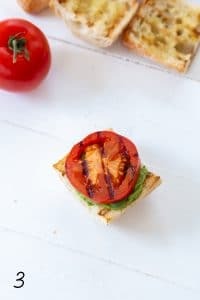 Then, slice the tomatoes and brush a bit of olive oil on both sides and grill until they start to soften and have grill marks on both sides, approximately 3 to 4 minutes per side. Fry the shallots in a hot pan with olive oil for approximately 10 minutes, or until they’re nicely browned and crispy. 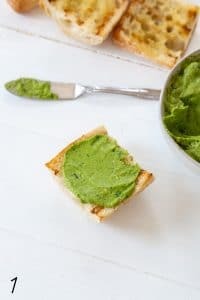 Make the avocado pesto sauce and spread on the bottom piece of the bread and top with tomato, basil leaves, and crumbled vegan mozzarella. We use Miyoko’s Mozz, or you can make your own. 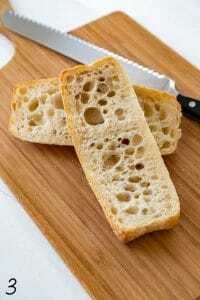 Click here for a homemade mozzarella recipe. Grill the bread so the exterior is crunchy and the tomatoes so they soften and get a nice smoky flavor. 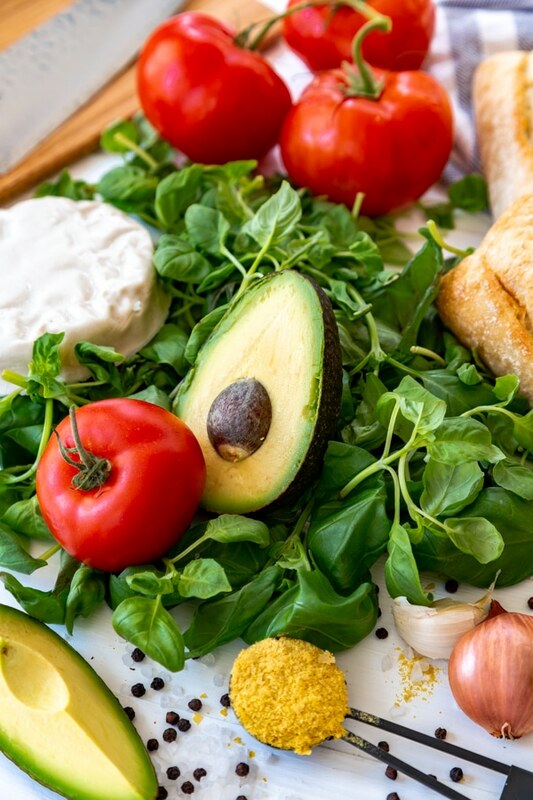 Use a firm vegan mozzarella, like Miyoko’s. Use the freshest basil you can find to ensure the best flavor. Spread a liberal amount of vegan pesto on the bread. Top with fried shallots for extra flavor. 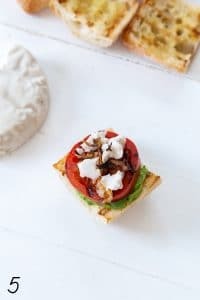 A French baguette is the best bread this caprese sandwich. It’s the perfect width and it has a wonderful texture for grilling. 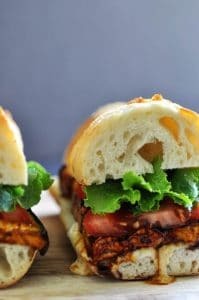 WHAT KIND OF PESTO SHOULD I USE FOR A CAPRESE SANDWICH? 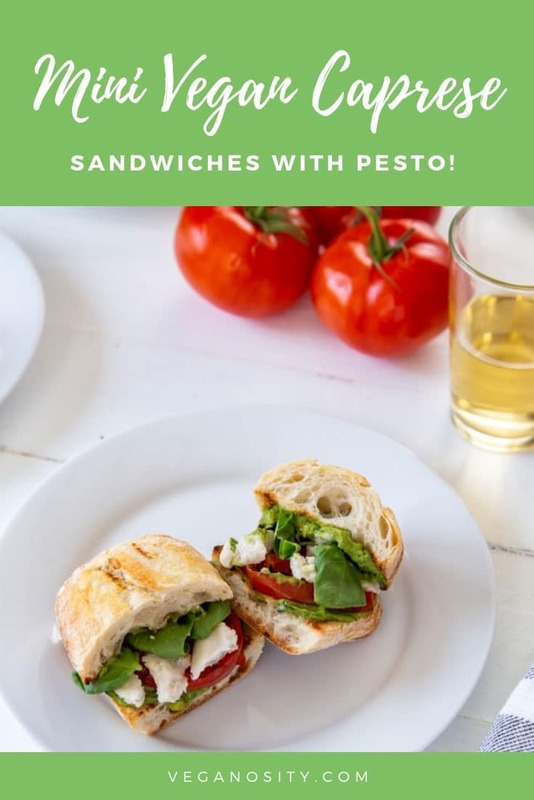 Our oil-free avocado pesto is perfect for this sandwich, although you could make any kind of pesto. 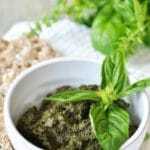 Click HERE to see our other pesto recipes. Easy to make and packed full of flavor. They’re perfect for a party or a light and simple meal. Click HERE to make your own mozzarella. 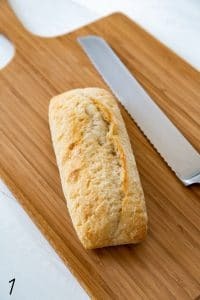 Cut the baguette into 3 to four inch long sections and then slice each section in half and lightly brush the inside of the bread with olive oil and grill on medium-high heat for approximately 3 to 4 minutes, or until the bread is lightly toasted and has grill marks. Remove and set aside. Brush both sides of the tomatoes with a light coating of olive oil and grill for approximately 2 minutes per side, or until they begin to soften and have grill marks. Remove from the grill and set aside. Heat a small skillet on medium-high heat. When the pan is hot add the remaining olive oil. When the oil is hot add the shallots and cook for approximately 7 to 10 minutes, stirring frequently. They should be nicely browned and crispy. 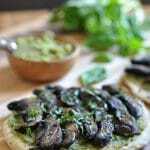 Remove from the pan and put on a plate lined with a paper towel to absorb any excess oil. Make the pesto. Click HERE for the recipe. 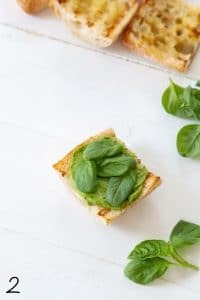 Spread a liberal amount of pesto on the bottom piece of bread, add a slice or two of tomato, basil leaves, mozzarella, and shallots. Top with the top layer of bread and enjoy! If you can’t find Miyoko’s mozzarella you can make your own. Click the first link in the instructions to get the recipe. 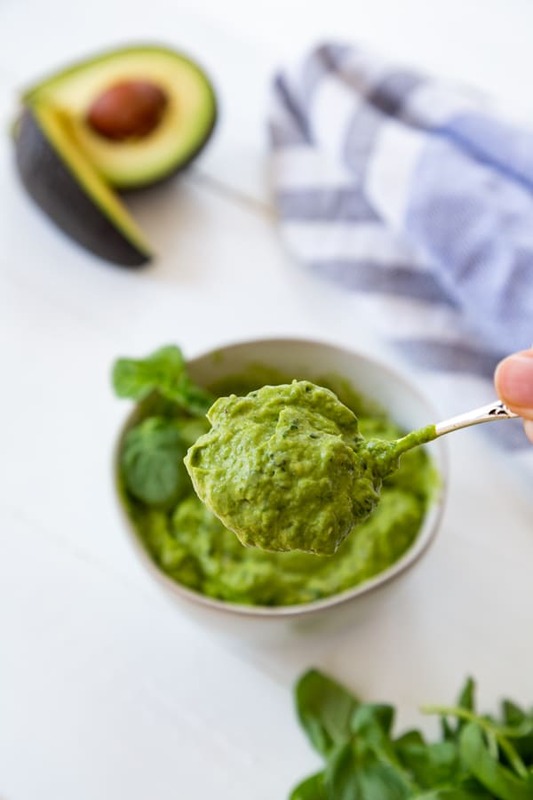 Feel free to substitute your favorite pesto recipe if you like. You can use fresh tomato slices if you don’t want to grill them. Feel free to make larger sandwiches if you don’t want to make minis. 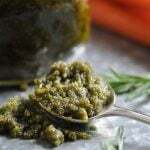 « Healthy Single Serving Oil-Free Pesto Sauce! These look wonderful, so classy and fun for entertaining. Thanks! Hey Christine, Thanks so much for the comment! We think they're wonderful for entertaining too!